Having now been elected as the new chairman of The Nottingham Archery Society, my first task is to thank those who have retired from their posts at the last AGM meeting and to thank those who continue to support the society through their efforts on the committee and at our regular meetings. Mike Spare has been the Chairman for the last nine years and has seen many changes in the committee line up and has an excellent track record which will be hard to follow. Mike was always passionate about reviving the Nott’s League shoots and I am glad to say he managed to do this, four years ago, with the help of others on the committee and we now have one of the most successful County League shoot series in the Country which is the envy of many other Counties. Mike has shot for the County as a recurve archer, and he has coached at not only the EMAS junior squads but has also contributed greatly to the Nott’s development squads by coaching both junior and senior archers of all abilities and he again has committed to the winter training again this year. Mike has always taken an active interest in improving and bettering the County teams and he has been pivotal in selecting those who had qualified for the team over the last nine years. Mike has not thrown the towel in completely as he has taken on the County development role, as well as the Vice Chairman’s role, and I thank him for not only his past role as chairman but also for the continued support he gives to the Society and me personally. Les Smeeton has now relinquished his role as the County development Officer which he has held for the last three years. In his time in office he has managed to secure considerable monies through grants from among others GNAS and Nott’s County Council. In fact this year’s winter coaching is funded through a grant that Les negotiated. Les has held and still holds, many senior roles in archery serving EMAS and The EAF to good measure and he also has regularly coached at squad events and again he has committed to this year’s winter training sessions. Les has requested to stay on the committee, and again I thank him for his time and considerable input to further the development of Nott’s Archery society. 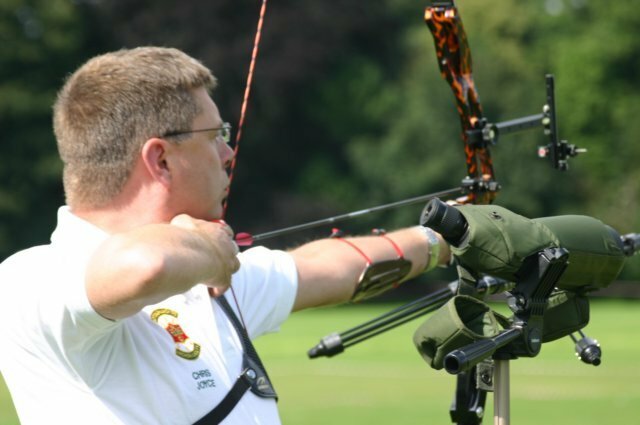 The role of the Nott’s chairman is as I see, one of encouragement, development and the facilitation of individual clubs and archers ambitions to achieve whatever goals they wish to achieve in archery. I have a vested interest in improving the County Team’s performance and I believe that we can progress further by offering inspiration and encouragement through coaching and by promoting our archers to enter competitions at all levels. I am looking forward to chairing my first meeting in the New Year and if any individuals or clubs wish to put any suggestions forward I am happy to listen to what they have to say. I would like to see more clubs sending representation to our regular meetings and will make one of my first tasks in the New Year that of visiting all the clubs in the County to introduce myself and see for myself all of our clubs in action. The County is again putting on a series winter coaching sessions and this is an excellent opportunity for archers to be coached by some of the best coaches in the County. The sessions will cater for archers of all capabilities, juniors and seniors, and will involve coaches working with small groups of archers on a one to one basis. I encourage all clubs to canvass their membership for candidates for this course and hope we can continue to build on last year’s most successful sessions. If you are interested please see the winter training sessions section for contact details of the organiser.